This post is the first of ‘Revit for beginners’ tutorial series. 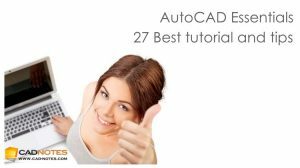 If you want to learn Revit, I hope this tutorial will be useful. And I hope will be easy to follow. My English is poor, but I hope understandable :D I will use metric for unit, common unit I use. So let’s get started. I will explain what is Revit first. Revit in a BIM application. Building Information Modeling. It’s beyond 3D modeling for visualization. You are creating a virtual building, with all it’s properties. Just like you build a real building, but in real world, it’s in your workstation. Because you are building a real building (virtually, of course) you can extract any data from it. Plan, elevations, sections, schedule is some of common data you can use. It’s also easy to create color fill, 3D perspective, rendering, detailed drawing, and limited walkthrough animation. BIM also enable you to communicate your model to other applications, such as structural analysis, green building analysis, heat load calculation, etc. Revit architecture is built for architect. So architect can work with conventional way: by creating building plan. You can ‘draw’ as you draw a plan. But you are actually building a 3D model. So you’ll have your plan and sections instantly. Sure, there are some 3D works to do to complete the building. But it’s quite easy. Other data you can collect from your model is your building schedule. You can create a report wall length, number of doors and windows, and other schedule easily. I’ve customized this schedule below to my language. It is customizable to your language too! And because you are actually creating it in 3D, visualization is easy to make. Just place your camera, tweak it a little bit, then you’ll have a nice perspective! I’m not an architect. So don’t judge the design :D But I hope my tutorial will be useful. Next, you will learn about Revit interface. *If you want to read this tutorial off-line, you can purchase this tutorial compilation in an e-book. Find out the Revit book in our E-Store . how do you place an overhead door? They Are not in the door library. You can download additional libraries. One place you could try is seek.autodesk.com. Or you can create your own libraries. This is very kind of you. Your conversational approach makes this programme much easier to understand, and i've never been in a classroom! Thanks. I think you meant Revit families library. You can place those files in any folder you want, then change the file location setting in Revit options. Click the large R on top left, then click options at the bottom of drop down menu. Go to file locations tab then set the folders there.